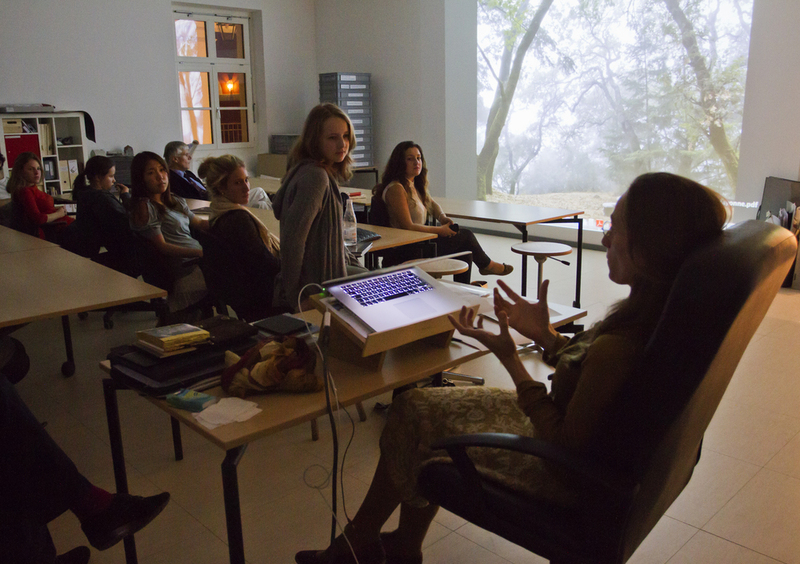 Gina presents at an opening lecture for IB Visual Art Students. It is such a wonderful thing to have an alumnus artist to come back and give the students the perspectives gained after working in the “real world”. Gina van Hoof ’96 currently lives and works out of Belgium as a photographer. Her work encompasses a wide range of projects with both photography and mixed media. Gina was here almost an entire week working with beginning photographers to the second-year IB Visual Arts students. See images of her visit here. Gina gave a number of workshops on bookmaking. Many IB students and faculty attended and were able to make beautiful handmade books. Gina often uses handmade books to display and present her photographs.